The human resource department is the most important department of any company or corporation. Although it is true that the sales department brings in revenues for the company and the accounting department records and analyzes all of the company’s financial transactions, but any business organization is nothing without the right people: and the HR department makes sure the company employs the most intelligent and most qualified personnel. All business organizations, either small enterprises or large corporations, need a strategic plan. 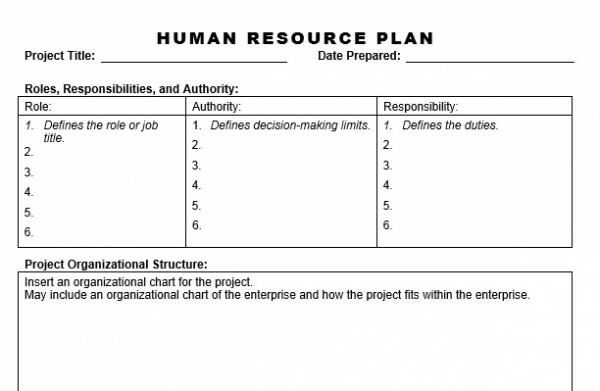 If you are tasked by management or by human resource to create a human resource strategic plan, here are some examples (in PDF format) you will definitely find useful. 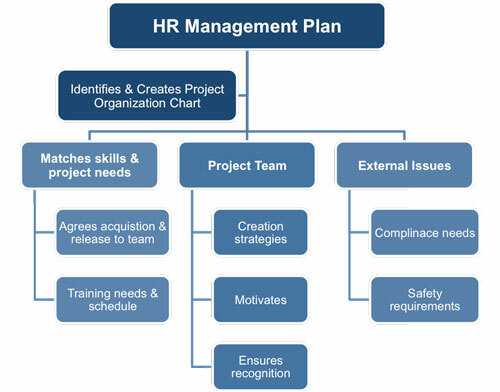 Listed below are the essential components of a human resource strategic plan. Take note that you can add other sections as well depending on the purpose of your plan. A human resource strategic plan is basically a plan created by management in collaboration with the human resource department to lay out the HR strategies that the said company will be imploring in the succeeding months or years. A strategic plan also analyzes the company’s internal and external issues and looks for solutions to solve those issues. A vision statement does not only apply in a company-wide perspective, but it can also be created by departments within a company especially if it aims to achieve specific goals. 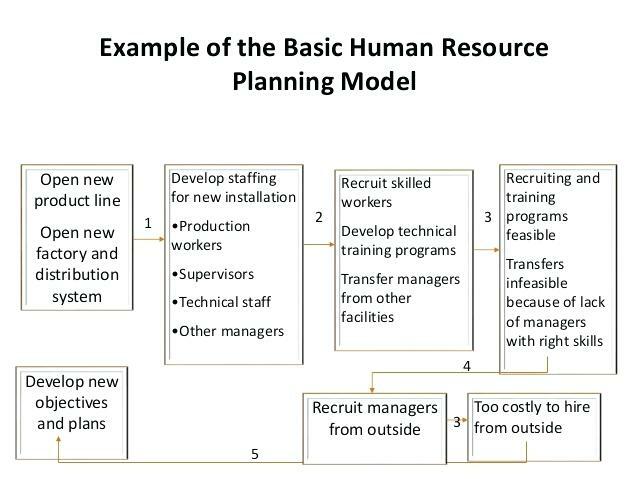 In this scenario, a human resource strategic plan is created by the HR department in collaboration or in partnership with top management. 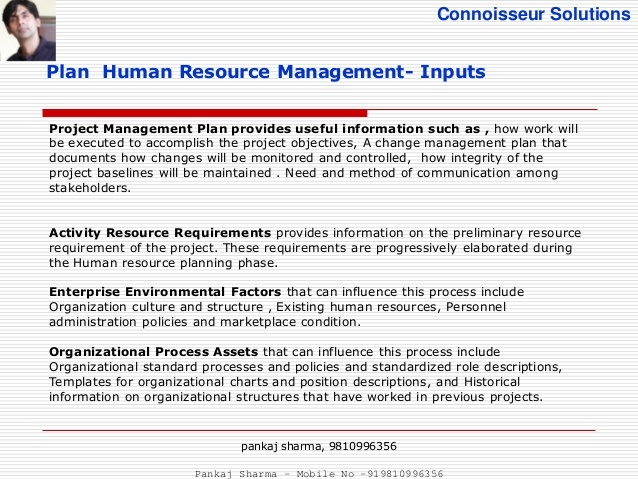 The vision statement of a human resource strategic plan is written similarly to any kind of vision statement. It is a long-term goal that is short and concise, and goes directly to the point on what the department wants to achieve. Since strategic plans always undergo revisions, the vision statement might change as well, but it should not steer away too much from the company’s vision statement or goals. This strategic plan aims to eradicate employee issues and further strengthen employee-employer relations. The long-term goal of the human resource department is to reduce the employee turnover or attrition rate to less than 5%, and eventually eradicating all types of turnover issues within the company. The mission statement is always attached to the vision statement, and there can be no mission statement if a vision statement is not formulated or written. The mission statement can also be interpreted as “company objectives,” in which the mission statement lists down how the vision will be achieved. The vision statement focuses on the future, while the mission statement focuses on the present and how to achieve that future. Listing down the mission statement is beneficial for a human resource strategic plan. The mission statement specifies what needs to be accomplished and the priority actions of the human resource department. The final recommendations of the human resource strategic plan will result from the analysis that were applied in the strategic plan. The analysis will stem from the strategies that were used. There are numerous strategic planning methods that companies can implore. Among the methods include SWOT analysis, PESTLE analysis, Porter’s five forces, growth-share matrix, and balanced scorecard. Porter’s five forces, growth-share matrix, and balanced scorecard can be omitted since they focus more on profitability. That leaves us with SWOT analysis and PESTLE analysis. 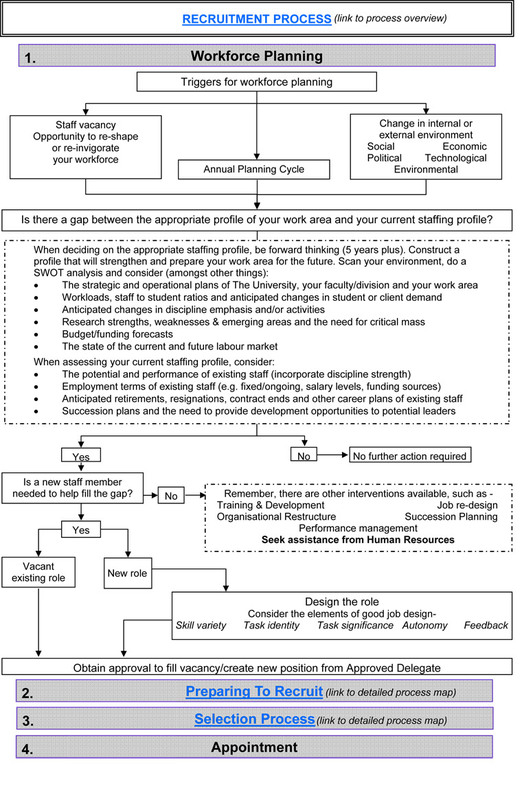 Both strategic planning methods are useful for a human resource strategic plan. PESTLE analysis studies the external environment while SWOT analysis focuses on both the internal and external environment. Although it is not mandatory to use both PESTLE and SWOT analysis in the human resource strategic plan, you will achieve better and more detailed results if you apply the two strategic planning methods. Companies use PESTLE and SWOT analysis to analyze the entire internal and external environment, so be careful to only identify internal and external factors that relate to human resource (for example, employees, policies that relate to performance and productivity, labor laws, taxes, etc.). 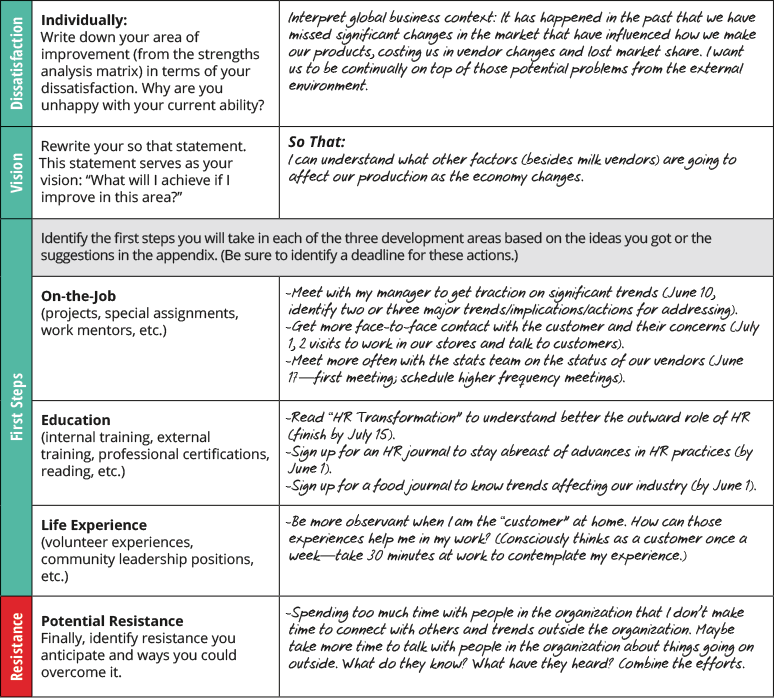 Here is an example of a SWOT analysis for a human resource strategic plan. Take note that this is only a sample and the details of each item in the SWOT analysis are not specified below. 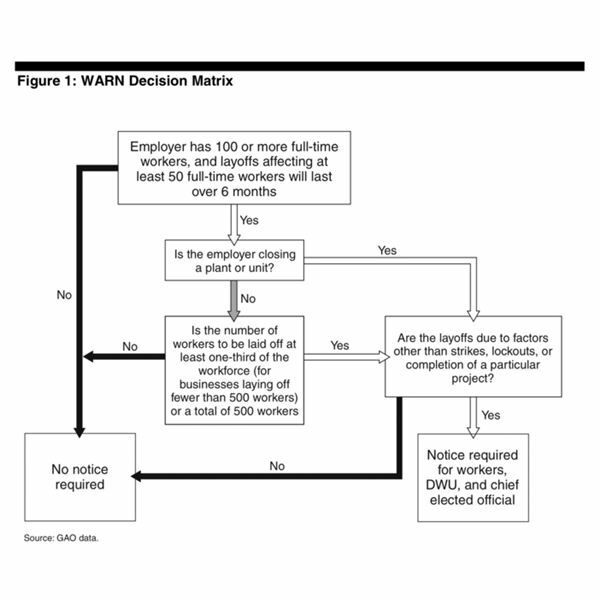 The action plan is the result of the analysis stemming from the strategic planning methods that were used. The action plan is how the strategic plan will be implemented. After the issues have been identified, action plans will be formulated and will be put into action. This is the most basic task of any individual working in human resource department. Although it is unfortunate that recruitment is only the job being associated with HR people, it isn’t. It is only one of the many tasks they work on a daily basis. Every job applicant, whether he gets hired or not, goes through the human resource department. It is the main priority of the human resource department to hire the most qualified applicants, but most of the time it is easier said than done. Sometimes, qualified applicants choose another firm or don’t even respond to the job offer being offered by your company. This leaves with you the dilemma of settling with a lesser qualified applicant or wait it out until another applicant submits his CV. Employee motivation is also one of the main tasks of the human resource department. Together with management, they formulate policies to keep employees motivated and productive. Among the methods to keep employees motivated include giving out rewards (monetary, gifts, etc.) and sponsoring team or company-wide activities. Even though human resource personnel are not directly involved in the operations of other departments, they have to make sure all the employees regardless of what department are productive on a consistent basis. The human resource department also aims to create a positive working environment for all employees in the company. To achieve this, HR people do counseling and discuss with employees their issues or other problems being encountered in the office. Although being a counselor is not part of a human resource personnel’s job description, it is an unwritten task that all HR people have to do eventually. Most HR people have a background in psychology one way or the other, so counseling should be a task they are already familiar with. 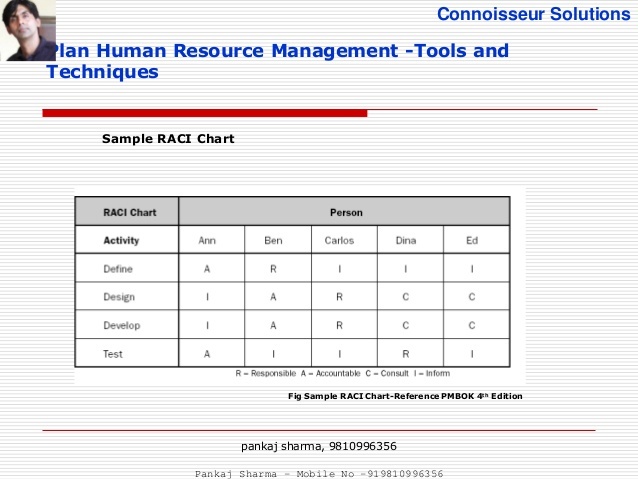 A human resource strategy plan is a vital component for any functioning human resource department. It is, after all, the human resource department which hires and keeps the important employees around, and motivates them enough to keep them performing at a high level. 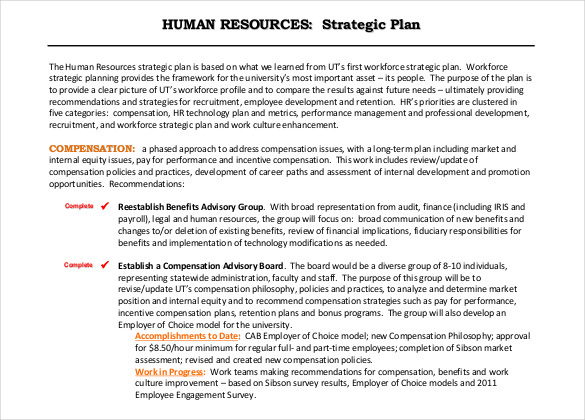 We hope the examples we provided will help you create your own human resource strategic plan. Every organization needs an HR strategic plan for various reasons: retain employees, improve employee performance, amend HR company policies, or adapt HR software. The importance of a human resource strategic plan cannot be understated for any business organization, especially if it wants to achieve long-term sustainability while hiring and retaining the most qualified personnel. 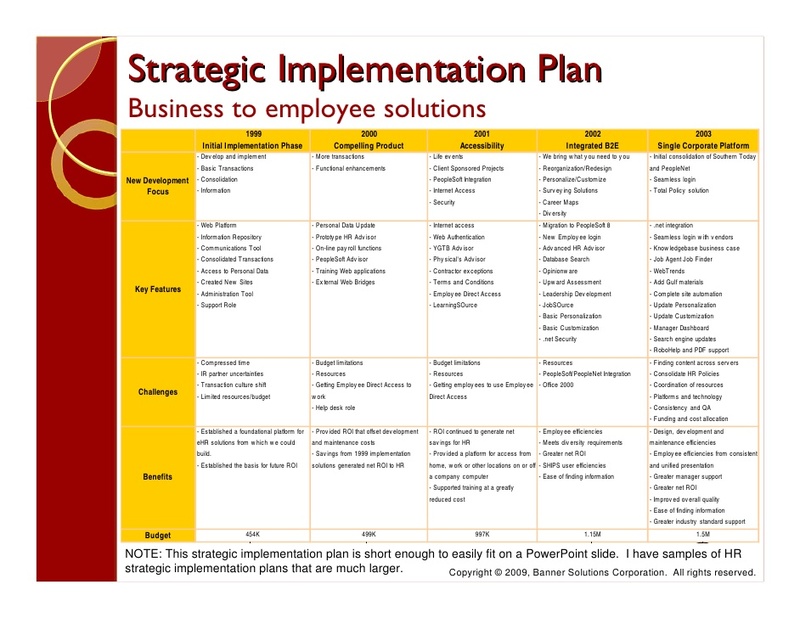 The most successful companies formulate and adhere to the details listed in the HR strategic plan.